Let me count the ways. MicroSoft wants to count the votes. MicroSoft is a supporter of Hillary and Rubio, two apparent beneficiaries of the recent fraud in Iowa. Shades of the Diebold theft for Bush in 2000 and 2004, where there was no paper trail. Lob the counts into the cloud and let MicroSoft tell you who won. The reporting apps may be used in every precinct in Iowa by both parties. The results will be securely stored and managed in Microsoft’s Azure cloud computing platform. In addition to taking money in the past from Citigroup, Goldman Sachs, JPMorgan and George Soros, Clinton has connections to Microsoft through Mark Penn, a former top advisor to both Bill and Hilary Clinton. In 2012, he was named Corporate Vice President for Strategic and Special Projects at Microsoft. 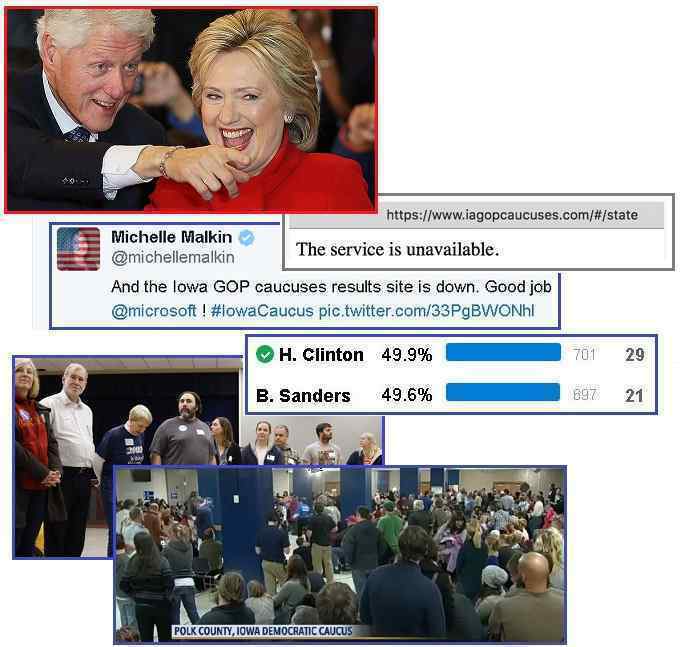 ZetaTalk Confirmation 2/5/2016: MicroSoft absolutely intends to assist Hillary in the Iowa caucuses, in a similar manner to the Diebold theft of elections for Bush in 2000 and 2004. This is patently obvious and Sanders is taking the right steps to make a fuss and get this issue into the media. It has appeared both in print and on TV, and will result in a simple cross checking being instituted in Iowa by the parties so in fact, theft will not occur. When the claims were made by Sanders, Iowa put into place a double check via phone calls, so a theft will be instantly obvious. This stopped MicroSoft in their tracks. Enter the Iowa primaries on February 1, 2016. Was there election theft? Let me count the ways. Clinton supporters were reporting frankly erroneous numbers to the caucus captains, as was caught on video in Polk County. Or the captains were missing altogether, allowing whomever to run the caucus. 90 Caucus sites did not even report. The MicroSoft app kept crashing. And for some mysterious reason Hillary apparently won all 6 coin tosses known to social media, allowed by Iowa rules to break a tie in such cases. Hillary obviously expected the fix to be in, announcing she had won before the counting completed. Hillary Clinton edged out Bernie Sanders in Iowa after a long, suspenseful night of vote-counting, ending the closest race in the history of the state's Democratic caucuses. With 100 percent of precincts reporting, Clinton had 49.9 percent of delegates and Sanders had 49.6 percent. Clinton was awarded 699.57 state delegate equivalents, versus 695.49 for Sanders. The Iowa Democratic Party is denying accusations from Bernie Sanders's campaign that it failed to staff scores of caucus sites. The party did not send impartial staffers to 90 caucus sites and is now reaching out to candidates for help reporting the data. The Iowa Democrats did not elaborate as to why the campaigns may have a better handle on where the party's precinct chairs are than the party itself. ZetaTalk Comment 2/5/2016: On the Democrat side, the Clinton campaign is known to have instructed their supporters to ensure that O’Malley got at least 15% if the count was close, to prevent his supporters from crossing over to Sanders. 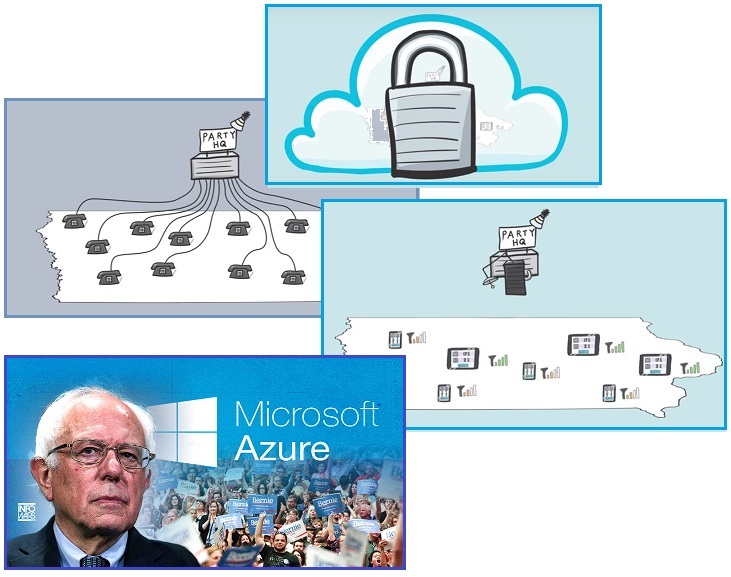 The MicroSoft app to be used to toss the counts into the cloud, where MicroSoft supporters of Clinton could massage the data, was not used for theft after Sanders loudly complained in the media about his suspicions. Iowa instructed the captains of their caucus sites to keep their own counts, a paper trail, and call in the counts as well as using the MicroSoft app, a double check, and Sanders supporters were likewise expected to stand witness. But wherever possible, mischief was afoot, with Clinton supporters reporting wrong head counts. Some of these situations were recorded on video, where caucus captains eager to get home in the bad weather refused to validate the counts they were provided. Discrepancies as high as 60 heads were accepted with the excuse that the caucus goers had gone home. As Sanders has stated, the true counts will likely never be known. The 6 coin tosses, where allowed by the rules, are also questionable - statistically improbably that Clinton won all. A coin can be weighted on one side, but unless the actual coins used are in hand, this cannot be challenged. Though the Des Moines Register had endorsed Clinton, they backed Sanders in calling for an investigation. At first resisted by the Clinton supporter in charge of the Democratic caucuses in Iowa, the recount did finally proceed. Team Sanders had its own app that allowed supporters and volunteers to send precinct-level results directly to the campaign. At the same time, caucus chairs sent their official results to the state party, either over a specially built Microsoft app or via phone. Sanders aides asked to sit down with the state party to review the paperwork from the precinct chairs. The Sanders campaign is rechecking results on its own, going precinct by precinct, and is already finding inconsistencies. The campaign seeks the math sheets or other paperwork that precinct chairs filled out and were supposed to return to the state party. They want to compare those documents to the results entered into a Microsoft app and sent to the party. On the Republican side, things were not much better. The GodlikeProduction forum was abuzz about the obvious voter fraud, about the difference between the polls and the results. 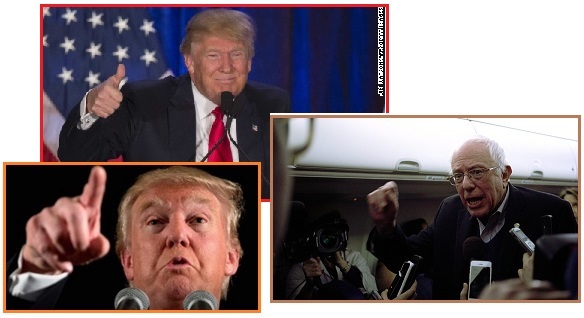 Trump’s advantage went to Rubio for no obvious reason and to Cruz, at odds with all the polls before hand. The MicroSoft reporting app was considered highly suspect. YouTube videos erupted on the issue. The GOP’s frustration with their inability to control Trump was likewise suspect, thus the promotion of Rubio, the chosen one. On the ground with the trump campaign. Buzz here is that the numbers don’t line up with our internal surveys which are normally close. Results don't line up with entry-polls or any polls. I saw one caucus "leader" who said she couldn't "send the votes to the APP" because her "phone died". This is different where a corporation is calling the shots. It's strange because Rubio gained 8 points from nowhere, and took away from Trump. Rubio gained 10% out of nowhere and barely campaigned in the state. 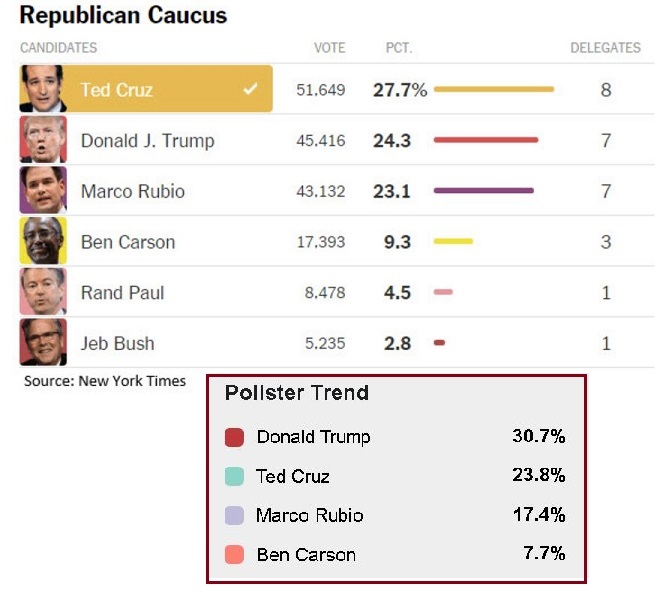 Entry-polls showed Trump leading by 5% and Rubio way behind. The whole election is a farce. Sorry, Iowa was voter fraud. It was absolutely in your-face, brazen, chaotic, busing in of Mexicans type of fraud. Donald Trump blasted opponent Senator Ted Cruz over his campaign's dishonest tactics in Iowa, including his campaign sending out a message telling his supporters to tell Ben Carson's supporters that Mr. Carson had dropped out of the race. With his strong showing in the caucuses here, Marco Rubio is growing closer to consolidating the establishment wing of the Republican Party. ZetaTalk Comment 2/5/2016: On the Republican side, where paper ballots were submitted and counted, ballots could simply disappear, or a wrong count be reported. The results, when compared to consistent polls and the enthusiasm of Trump supporters, shows that this obviously occurred. Trump was gracious in his loss, knowing that a recount would likewise be fraudulent and the voting could not be redone. The Cruz campaign’s lie about Carson dropping out is an example of mischief, but more mischief occurred to support Rubio, the desperate GOP’s choice as an alternative to Trump. Thus Trump was assaulted and diminished on two sides. What does this bespeak for the rest of the primary season, or the general election? With this much fraud occurring for the first state to vote in 2016, whether the nation? More scrutiny of the election process and less trust is surely in order. Sanders has called to see the raw data, the counts that were reported from the 1,700 caucus sites. Trump may yet go there too, though at first he seemed in shock at the outcome. The Zetas predict that Hillary will indeed be indicted, and Biden return to the race. That is, unless the announcement makes all that moot, as the 2016 election would then be delayed. Bernie Sanders has called on the Democratic party to release a raw vote count in Iowa. He threw little light on an unfolding controversy over certain Iowa precincts that did not have enough Democratic party volunteers to report delegate totals for each candidate but did call on officials to take the unusual step of revealing underlying voter totals. Sanders’ campaign director, Jeff Weaver, told reporters he did not “anticipate we are going to contest” specific results but hoped there would be an investigation into what happened. 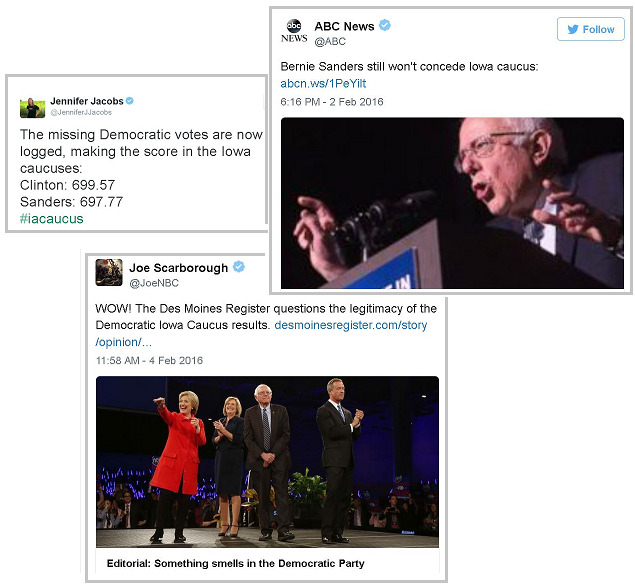 ZetaTalk Comment 2/5/2016: Was mischief afoot in Iowa during the primary on February 1? Absolutely, and had it not been closely watched, it would have been worse. There were, after all, some 1,700 polling places, all staffed and attended by individuals with various agendas and determination. Clinton even announced herself the winner before the counts were in. She knew. Both Trump and Sanders were gracious, and are unlikely to challenge the counts as Iowa has few delegates and fussing would not change the result. Both Trump and Sanders will be more aggressive about installing poll watchers in the future, as a result of the obvious fraud in Iowa. We have predicted that Clinton will be indicted for her handing of state secrets while Secretary of State and for selling her influence to enrich the Clinton Foundation. We have predicted that Obama will delay the 2016 elections, as a result of panic and shock after the Nibiru announcement. Given that the announcement and the resulting delay in the 2016 elections is all in the hands of man, what are the alternative outcomes? Clinton’s floundering campaign will sink so badly that Biden will return to the field. And Trump will effectively gut the GOP with his threat to go independent. The GOP is damned if they do, and damned if they don’t. Biden, thus, would win. 6.4 magnitude quake my foot! The Zetas have stated that quakes are now being under-reported by almost a full 2 magnitude points. This was a magnitude 8, for sure. Compare what is expected for a 6.4 to what is expected for an 8. All I can say is “Liar liar pants on fire”. 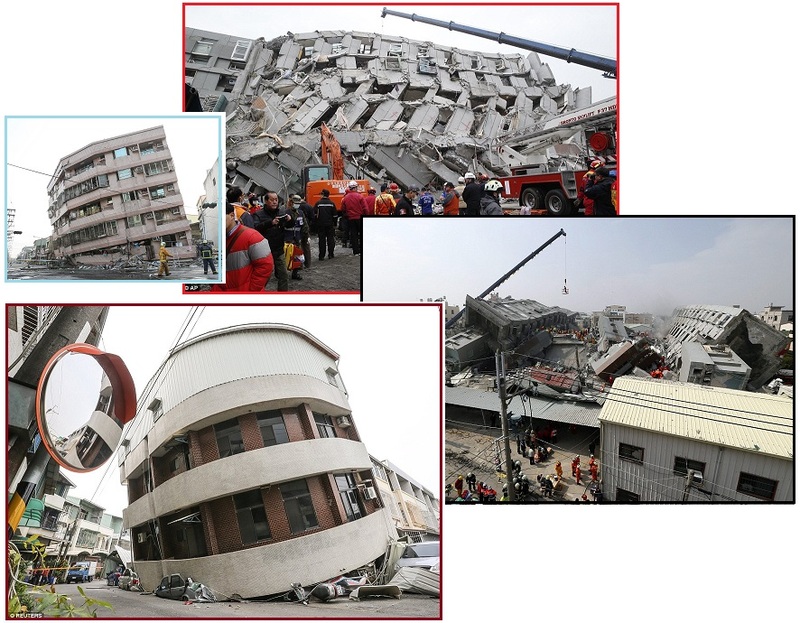 Buildings in nine other locations in the city of 2 million people had collapsed and five were left tilting at alarming angles. The initial quake, which struck just before 4am, was very shallow, at depth of 6.2 miles (10 km), which would have amplified its effects, the United States Geographical Survey said. A powerful earthquake toppled a 17-story apartment building in southern Taiwan. A complex of towers whose floors pancaked down onto to each other when the 6.4 magnitude tremor hit at around 4 am. Elsewhere in the city of 2 million people, several buildings tilted at alarming angles. The quake was centered 27 miles (43 km) southeast of Tainan, at a depth of 23 km (14 miles), the U.S. Geological Survey said. 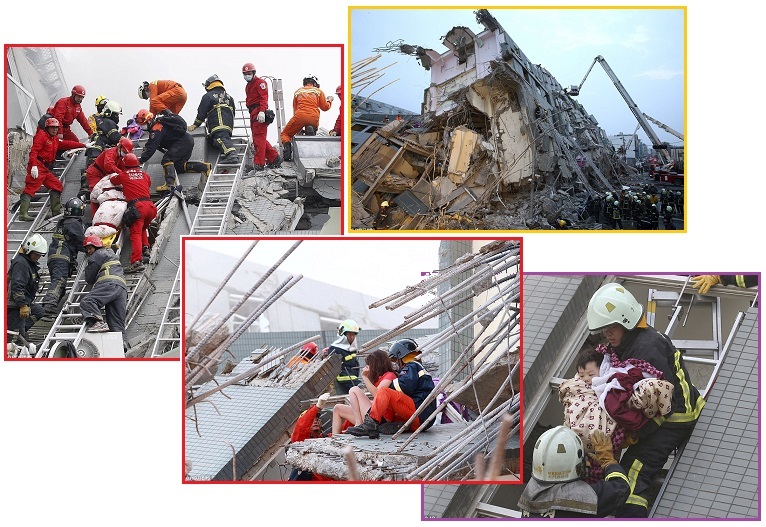 Several aftershocks shook Tainan. Buildings slumped on their foundations. Reinforced concrete failed everywhere, tearing apart, not just cracking. The news here is not the injuries and rescued babies, which are certainly a concern, but the level of lies the USGS has been instructed to issue. Can we just have the truth? Of course this was due to the Philippine Plate tilting and shoving under the eastern edge of the great Eurasian Plate, which ends off the China coastline just beyond Taiwan. More to come as the 7 of 10 plate movements have lately picked up again, and will complete. ZetaTalk Prediction 3/19/2011: The Philippine Plate is tilting, plunging under the Philippine Islands and lifting slightly on the other end near the Mariana Islands. The Mariana Plate is also tilting and plunging under the Mariana Islands. ZetaTalk Prediction 11/27/2010: The folding of the Pacific plates that accompany the sinking of Indonesia during the 7 of 10 scenarios involves, as we have explained, the Mariana and Philippine plates tilting and flattening westward. It is always too little too late, with establishment alerts. Be prepared by having your own earthquake prediction scheme in place. Electronic screech in the rock precedes big quakes, usually by a couple days and certainly hours ahead. The electronic screech will create obvious static on AM/FM radio stations, so keep your car radio on when driving about, and keep the radio on in the kitchen. Plus pets and domestic animals will try to flee. They get frantic. I remember Mildred, a Peking duck in the hydroponic lab in my basement, a decade ago. Two day ahead of the 4.5 quake in Chicago, she was inconsolable, quaking and dashing about. Rocking her in my arms, singing to her, nothing changed her panic. Then the quake. Then no more quacking! 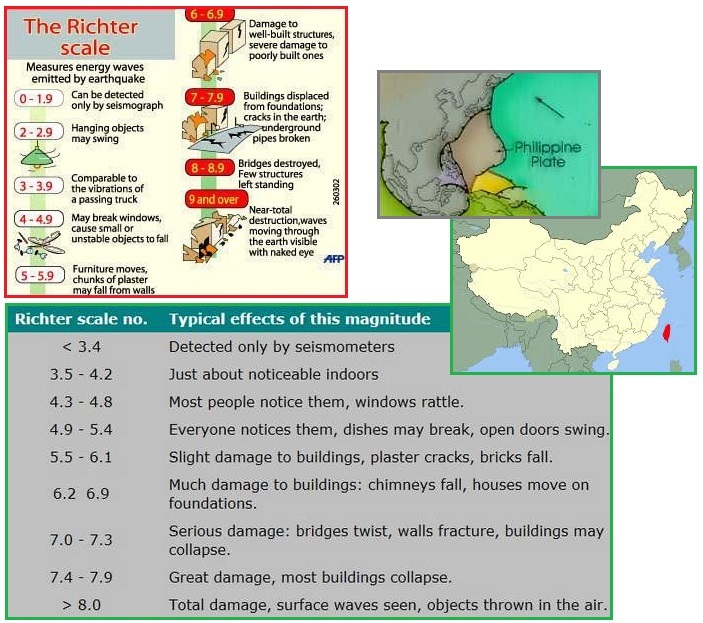 The Chinese use their Peking ducks as earthquake predictors, and that’s a fact! So get a duck! 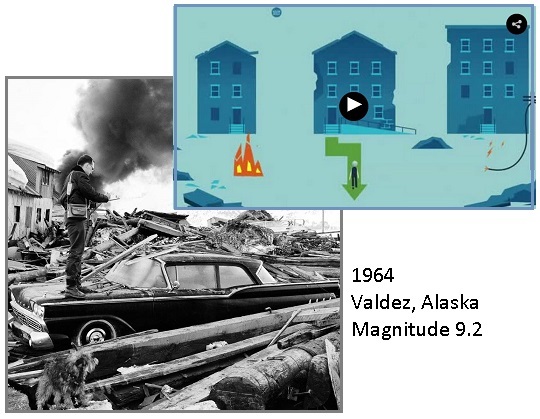 The scene in Valdez, Alaska, after the Great Alaska Earthquake brought devastation on March 27, 1964. With a magnitude of 9.2, it was the second-largest earthquake ever recorded. Private foundation grants will fund new research at universities in California and Washington state, the Forest Service will streamline the placement of seismic monitoring stations and a presidential order will tighten standards for new federal buildings. 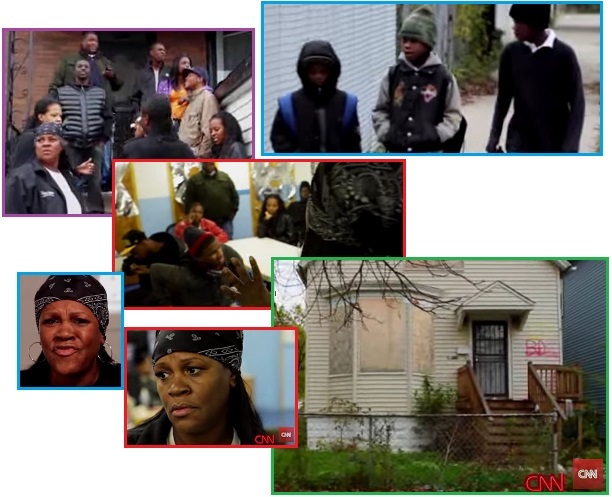 The CNN Heroes series provides a wealth of examples on how Service-to-Other individuals can inspire community activity, act as role models for others, and change hopelessness and hunger into a positive outcome! Don’t wait to be rescued, be the rescuer. From Queens to Chicago to San Diego to LA these angels of mercy working in the inner cities in the US show how easy it can be. Just do it! Inspire others. Give them leadership to follow! Many wonder what to do, so be the leader who gets things started. Jorge Munoz, feeds the hungry homeless in Queens, New York. Jorge has a day job driving a school bus, but then cooks and delivers food to those seeking day labor wages, but unable to get a job that day. He asks them, “Are you hungry?” Jorge gets donations and contributions of food from others, who have joined in this effort. 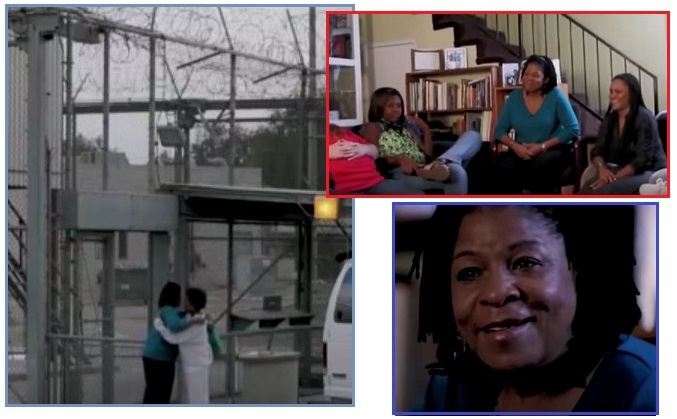 Helping those in need is contagious! 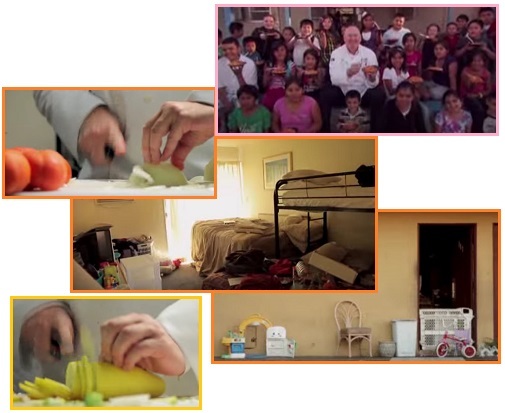 Bruno Serato, who grew up poor in Italy but became a chef in San Diego, makes sure hungry kids in his city don’t go to bed hungry. He calls them Motel Kids, living on welfare in local motels. He says “Mom and Dad always tell me, never forget where you come from”.